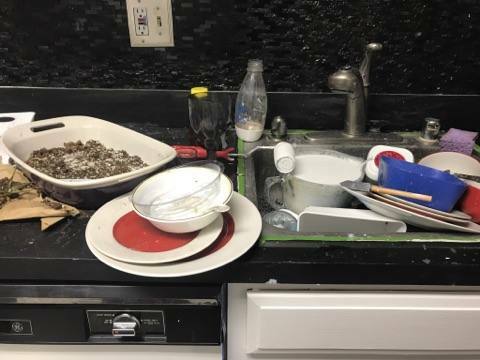 Richmond, Va. — Recent VCU graduate, Kellen Heinrich has finally had enough of the poor living conditions he faces in his Grace Street apartment, which he has lived in for four years, and fully blames his landlord, Craig Jerrell. Heinrich, who just received his Bachelor of Arts in Craft and Material Studies with a concentration in glass, has admitted that neither he nor his two roommates have made any effort to clean the apartment themselves over the course of their entire undergraduate experience, but he also maintains that they shouldn’t have to. Heinrich further said that he has plans to write a strongly worded letter to Jerrell, listing all of the specific problems that he expects the landlord to address. Among them are the recycling bin buried under a mountain of empty PBR cans and Cinnamon Toast Crunch boxes, the inside of the microwave that is coated in Totino’s Pizza Roll remnants, the coffee table covered with ash and the shattered pieces of a glass bong Heinrich made himself, and the 13 empty bottles of Head & Shoulders that occupy the shower. When asked if he would dispose of the items since he didn’t need them for artistic purposes, Heinrich indicated that he had no plans to. However, he did disclose that he definitely expected Jerrell to sort through the mess, as everyone knows that this is the job of any landlord. The angry tenant further conveyed that if Jerrell doesn’t tend to his requests soon, Heinrich would have no other choice than to take him to court.